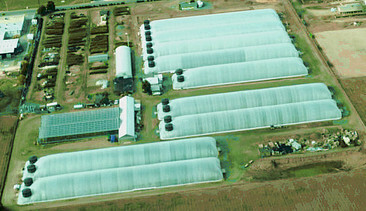 NetZeroFarms Solar-Powered, Energy Efficient, Climate Controlled Greenhouses - standard rigid, inflatable, and rooftop structures, employ thin-film solar panels that generate power using all light frequencies except for those used by plants in photosynthesis, producing the maximum for power capture and the ideal environment for plant growth. 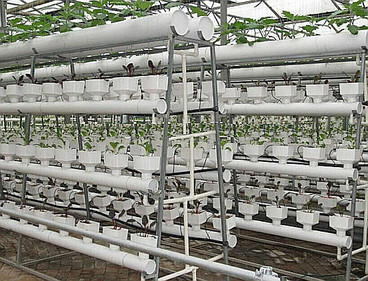 Additionally, as the water is from the cleansed atmosphere rather than local water sources, the total growing environment is absolutely free of contaminants. 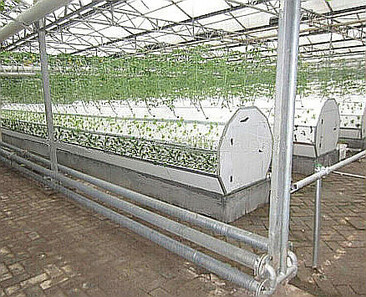 The compressors employed for inflatable greenhouses are equipped with HEPA filters to remove all airborne particles, and an ionizer to kill microscopic organisms.